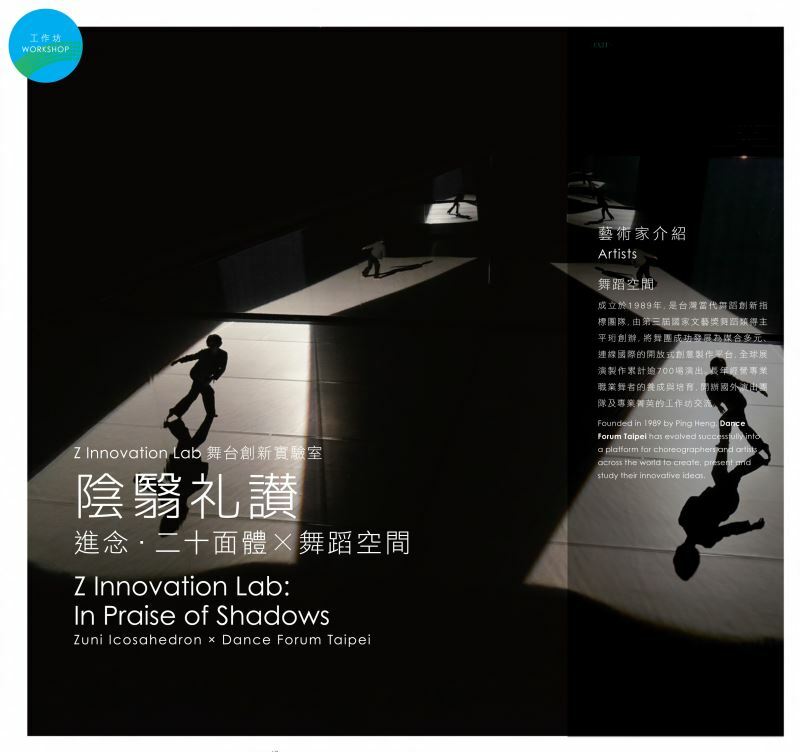 The project of In Praise of Shadows (inspired by Japanese novelist Jun'ichirō Tanizaki's eponymous work) unfolds a series of experimentations on light, image, dance, movement, and innovating technology of theatre. As part of Z Innovation Lab, project’s workshop will take place in Hong Kong with one session open to the public. Founded in 1989 by Ping Heng, Dance Forum Taipei has evolved successfully into a platform for choreographers and artists across the world to create, present and study their innovative ideas.